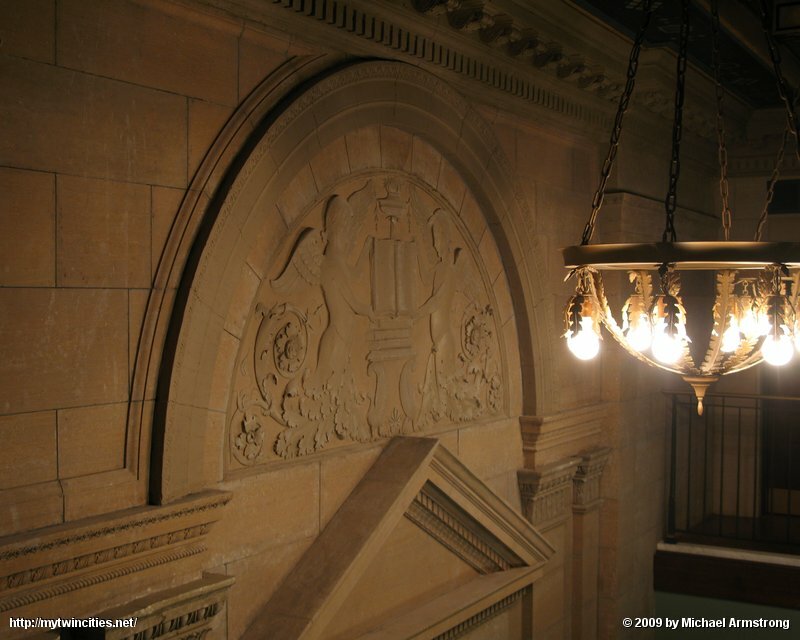 It surprised me a bit when I realized the light fixture hangs right in front of this gorgeous carved lintel. You can't really see it unless you're practically right underneath it, or on the upper level so you can get up close. It's a shame to have it hidden, but it's worth , even if the library is full of treasures like these. If you're there (at the St. Paul Central Library), be sure to take the time to explore. You never know when you'll happen across a treasure like this.